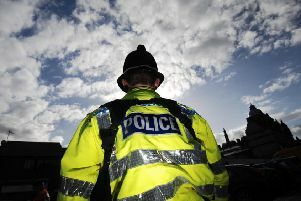 A veteran Burnley Wood councillor has urged residents to stay vigilant and safe following news of a brutal murder in the area last night. Long-standing Rosehill with Burnley Wood Liberal Democrat Coun. Jeff Sumner said he was was saddened to hear of the news that a 40-year-old woman had been found dead at a house in Marlborough Street on Monday evening. The former Mayor of Burnley said: "My thoughts are with the family of the victim. It is terribly sad news. I hope the police catch the suspect quickly and he is dealt with appropriately by the courts. "There have been a lot of burglaries and anti-social behaviour in the area recently but this is altogether more serious. I would urge residents to be vigilant and stay safe." Police earlier confirmed they were called by the ambulance service at 7-13pm yesterday after the body of a woman had been found at an address in Marlborough Street. The 40-year-old woman was pronounced dead at the scene. Her death is currently being treated as suspicious and enquiries are ongoing.